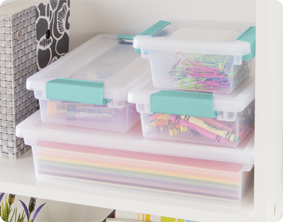 Keep your space neat and organized with Clip Boxes! Designed to be modular, you can create your own storage system with the five different sizes. Stack Clip Boxes for efficient use of vertical storage space. 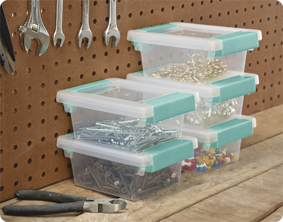 The Mini Clip Box is a great solution for storing and organizing items throughout the home and office, such as paper clips, tacks, arts and craft supplies, or smaller items, like nails and screws in the workshop area. 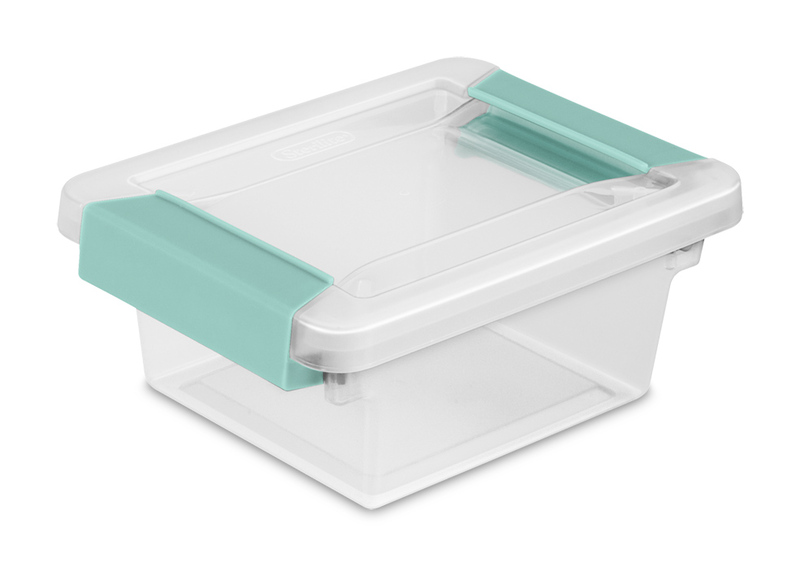 The clear base and lid allow contents to be easily identified from any angle, and the color accent latches ensure that the lid remains secure to the base. The overall dimensions of this item are 6 5/8" x 5" x 2 3/4". Overall Assembled Size: 6 5/8" x 5" x 2 3/4"
Clip Boxes are ideal for storing a variety of supplies and stack to keep your workspace neat. 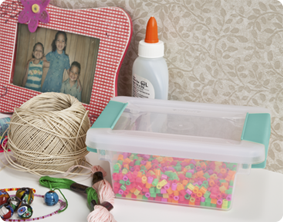 Need a way to store beads or jewelry making supplies? 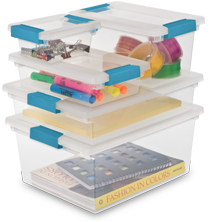 The Mini Clip Box is deal for keeping these items neatly contained and easily accessed. The Mini Clip Boxes are great for sorting and storing a variety of small households needs such as nails, screws and tacks. Mini Clip Box is rated 4.5 out of 5 by 4. Rated 5 out of 5 by Neska from Great storage for small items These boxes are great to store small items. I have several that are used for coins (play money), small erasers, push pins and other office/school small items. Love them!! Rated 3 out of 5 by Bill-19 from This is smaller than advertised These box's are a lot smaller than the dimensions listed. The container is a lot smaller than the lid. Rated 5 out of 5 by Yardpilot from Well made and useful. I bought a couple of these at a local store to try them out. They were so useful I went back intending to get a couple of dozen more. They quit carrying this size. I have been to several area stores that carry the product line, but cannot find more of these. Pity. I want a bunch. 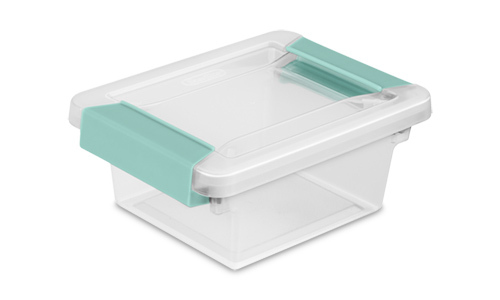 Rated 5 out of 5 by Lquiltgrdn46 from I love sterilite Products I love the Sterilite storage containers they are so wonderful and keep my Pre School so organized!